Jennifer has a genuine interest and empathy with people and animals. This was reflected in her earlier career as her roles were always people focused and she is now delighted to include animals to the range of clients she works with. From an early age Jennifer has believed there are no such things as problems- only solutions. She is passionate about working in a holistic way to create positive benefits for mind body and spirit. After more than 25 years within the results driven environment of the corporate world, Jennifer retrained in 2005 as a Personal Coach. Her philosophy is to offer a high level of service to her clients and since 2005, has continued to expand her knowledge and own professional development by training in NLP, Emotional Intelligence, Hypnotherapy, Laughter Yoga, Reiki and Animal Healing. 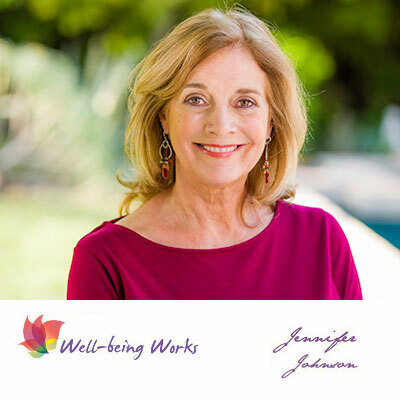 Living in the Epping Forest area surrounded by nature, Jennifer’s work is focused on the Well-being of her clients. Services offered include Workshops, Coaching Programmes, Emotional Intelligence Assessments, Talks, Laughter and Relaxation Sessions, Reiki and Animal Healing.